Exclusive! A gathering of friends. The joy of hanging out. A perfect silhouette of 9 little birds side-by-side on a wire is laser-cut from stainless steel with a brushed finish. 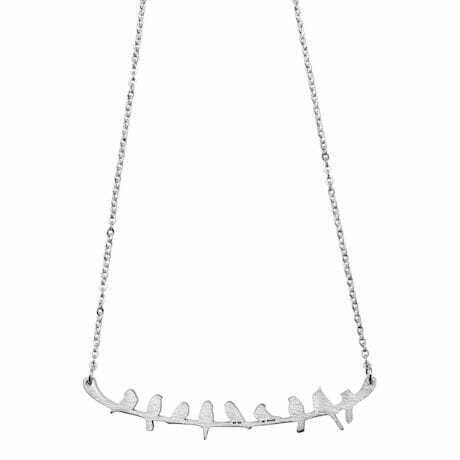 Stainless steel chain secures with a lobsterclaw clasp. Pendant measures 2 ¼" wide, Overall length about 19". Made in USA.